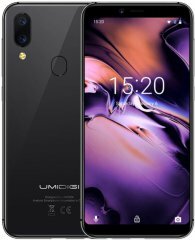 One of the cheapest dual-camera-equipped smartphones of its time, the UMIDIGI A3's 12- plus 5-megapixel dual-lens main camera resembles those of some full-fledged high-class photography smartphones listed here on Phonerated. It comes with a 6-element lens and is accompanied by a dual-LED flash. Its 8-megapixel front-facing secondary camera is not as impressive, though. The A3's weakest points reside under the hood, in the form of a quad-core-only 1.5GHz MediaTek MT6739 processor coupled with a measly 2GB-only RAM . 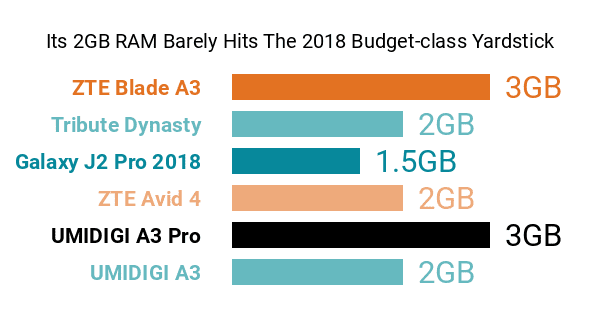 In comparison, some of its budget-class competitors with tantamount pros and cons run on eight-core engines and pass the 3GB RAM mark. 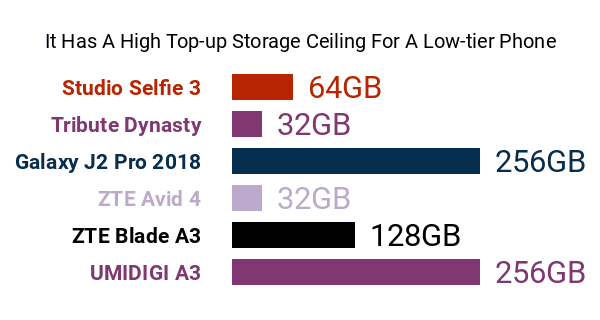 We also cannot help but wish that it offered something more than a 16GB native memory , since some of its closest rivals start out with 32GB of on-board storage, although its support for up to 256GB's worth of storage expansion makes that con somewhat excusable. This 2018 UMIDIGI model rocks front-and-back 2.5D curved glass panels and combines a rear-mounted fingerprint reader with a facial recognition system for its security suite. It also supports the VoLTE in-call audio technology that was all but a standard budget-class perk around the time of this technical review. Stamina-wise, the A3's 3300mAh battery winds up as a solid pro in our book, considering the assortment of specs that it powers. Its 5.5-inch In-Cell screen, whose 18:9 aspect ratio reminds us of some high-caliber phablets, sounds appreciable as well, though some shoppers might be put off by its humdrum 1440 x 720 HD+ definition and 295ppi pixel density count . With two nano SIM card slots and the Android 8.1 Oreo operating system rounding out its pros and cons, the UMIDIGI A3, which is offered in Space Gray and Gold, caters to budget-cautious shoppers looking for an inexpensive entry into dual-lens imaging.